The application of your design or logo with thread by a computerized sewing machine. The thread is actually sewn into the garment. Typically selected when working with a higher quality garment such as a polo or golf shirt. Embroidery is commonly regarded as a “classier” look and will hold up better over the long run. We can embroidery a T-shirt for example, however this typically adds too much additional cost to a low cost item and can look out of place. Most customers prefer to select Embroidery for executive, front office and sales staff uniforms. Embroidery is also preferred for jackets, polos, hats and other items that would be considered higher end or those having an uneven surface like a hat. 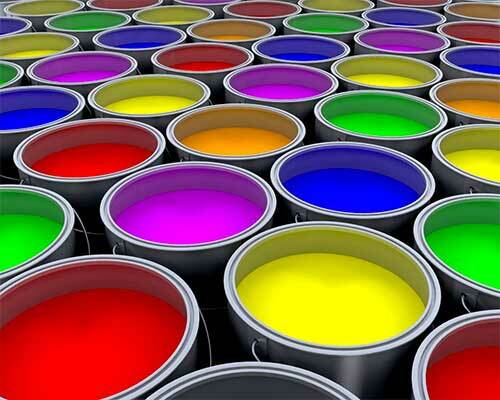 The application of your design or logo with colored ink. Often used to apply a design to a t-shirt or sweatshirt. Screen Printing is usually less expensive than embroidery, however if you have a large number of colors in your design, screen printing costs can be equal or more than embroidery. Having multiple print locations also increases the cost as there is more setup time and materials needed. Screen Printing is frequently selected whenever a large quantity is called for and often selected for single events like family reunions, charity events or for staff who might be working in an environment where the garment might be stained or damaged more easily. Screen printed items are also the most common promotional product for giveaways or contests. We've done work for some very reputable companies, our quality speaks for iteslf. Get your free no-obligation quote today! Screen printing is a printing technique that uses a type of mesh and ink blocking stencil. Colored ink is applied to the surface of the mesh and is then forced through openings on the screen, while the ink blocking portions of the stencil keep the ink from permeating the other areas. A “squeegee-like” tool is used to make sure the entire area to be printed is coated with the ink. The resulting print is very crisp, clean and can be quite artistic. 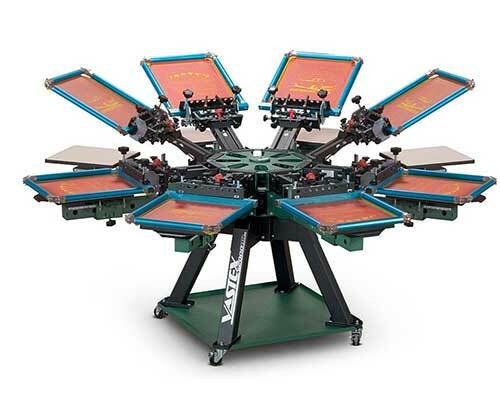 The modern process of screen printing was developed in the 1940’s as an artistic process. Later, Andy Warhol popularized it as an art form to recreate some of his paintings on standard painters' canvas and even shirts, but through innovations roughly 20 years later it has become the same basic process used all over the world today. Screen printing is used by many to create a number of the graphic tee shirts and other items worn today. However, there are many other products produced too - you will find screen printing used on watch faces, decals, balloons, product labels and many other surfaces. The most common applications are printing on T-shirts, sweatshirts, tank tops, jackets, tote bags, toddler, infant wear and more. Is Screen Printing the same as Silk Screening? You may hear the term silkscreen from time to time and wonder about the difference between silk screening and screen printing. Wonder no longer! The two techniques are essentially the exact same process. The term silkscreen is actually a bit of a misnomer, since silk is seldom used as the mesh material anymore. However, when the technique was first created, quite often real silk was the material chosen for the mesh portion of the screen printing stencil. Today polyester mesh is typically used. There are also other names for the same process. If you hear serigraphy, and serigraph printing used, rest assured, it is the exact same process. Interested in a Screen Printed Design? If you think that you may want to get a certain design screen printed, it is important to be prepared for what the process entails. First, you will need to have your custom logo, artwork or design ready to be emailed to us. We prefer Vector files (don't worry if you don't know what this is). The next most preferred are high resolution PDF, JPG, Photoshop or Illustrator files. You should also have some idea of what color or colors you would like to use in your design as well as the size and print location. Remember, the more colors you choose, the more expensive the design will be. Finally, you need to choose the right clothing item for the job. If you have these decisions made, it will be easier to begin the process with your screen printer. If you have not we are happy to assist you or make some recommendations. If you would like to learn more about our screen printing services, or perhaps get a quote for your project, fill out the online form and we will be happy to get back to you. Embroidery is an excellent way to personalize any number of items—including clothing, towels, bags and more. Whether you are new to the concept of embroidery or you are highly experienced consumer, we invite you to check out our services and see how we can serve you. Custom embroidery is a method of adding personalization and style to nearly any fabric product. While embroidery can be done by hand, today heavy-duty embroidery machines read digital files and turn them into stitches. This works with not only simple designs (such as a name), but also with complex multi-colored images. Embroidery is very popular for commercial clients who want to emblazon a company logo, but it is also fun for individuals who want to create clothing or linen that is 100% unique. Embroidery offers many benefits when compared to, for example, iron-on letterings and designs. Embroidery is long-lasting and designed to look great for the life of the item itself. Additionally, embroidery is very customizable. While there may be limits as to what iron-ons are available, today—if you imagine it, it can be embroidered. One of the biggest benefits of embroidery is the flexibility it offers. You can embroider something simple—like a Polo-style shirt, of course. 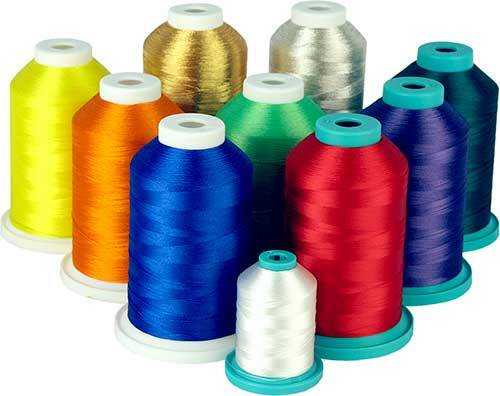 However, there are many other products that work well with embroidery too. Regular T-shirts can be customized with a corporate logo, ball caps and other hats personalized with a team name can be monogrammed to make an excellent gift. The options are nearly endless. If you have questions about what products or materials work for embroidery, don’t hesitate to reach out and contact us for more information. If you decide that embroidery is the best way for you to add some personality or style to a particular item, or set of items, you need to be prepared. We recommend that you have a logo or piece of artwork ready to go when you are ready to begin the process. We will take care of turning your artwork into a file that is readable by our machine. Just make sure it is perfectly clear what your final goal is for appearance. We need to know what colors you wish us to use on every aspect of the design. If you are concerned about what the final result will look like, don’t worry, our experts always produce a proof to show you what it will look like. 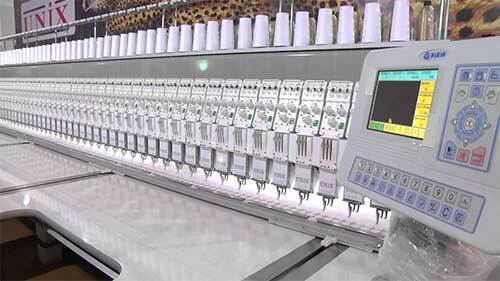 After all, our ultimate goal is to please our customers with every embroidery project we complete. Now that you have a better idea of what to expect from our embroidery service, maybe you would like to talk to one of our experts. Fill out our bid request form so we can learn a bit more about your needs. We look forward to hearing from you and getting started with your embroidery project today!